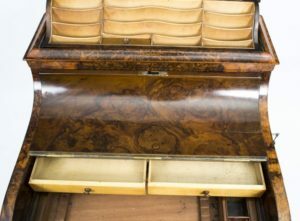 We are sure you will agree that it’s a great idea to look at quality objects such as this antique burr walnut pop up desk face-to-face before you purchase. 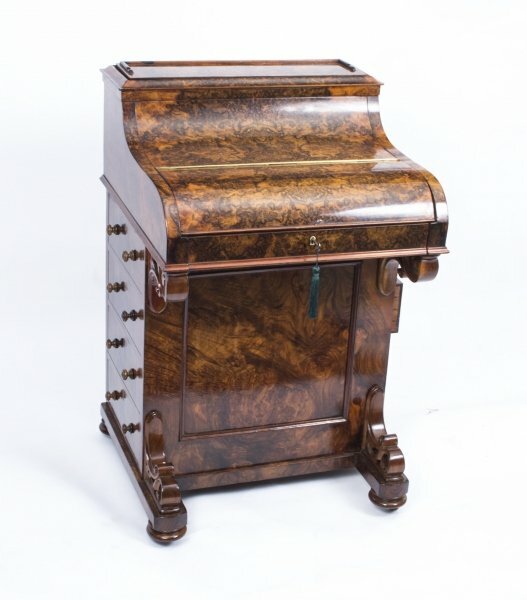 Bearing this in mind, we are always delighted to greet you to pay a visit to our North London salesroom to check this terrific Victorian Davenport desk for yourself. 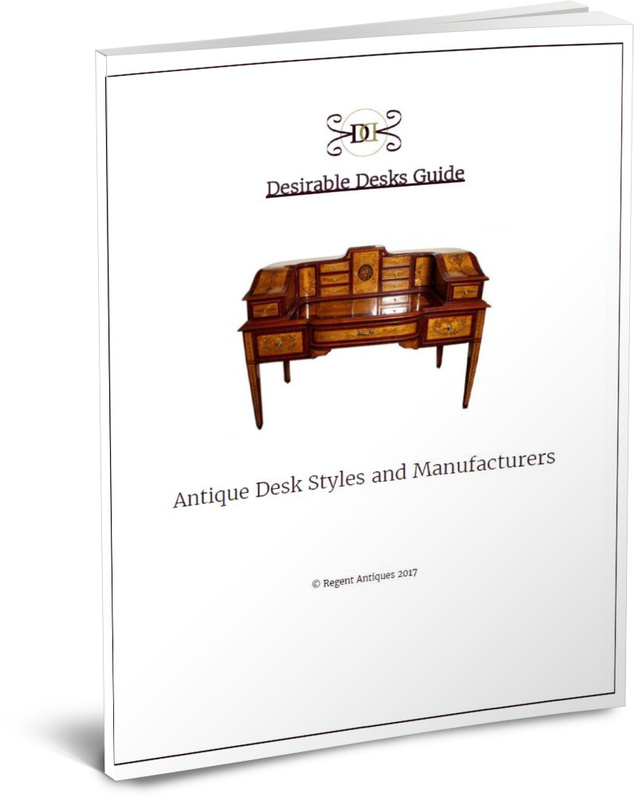 When you are here you can look-over our comprehensive array of other fabulous pieces and also speak about any queries or topics that you might have. 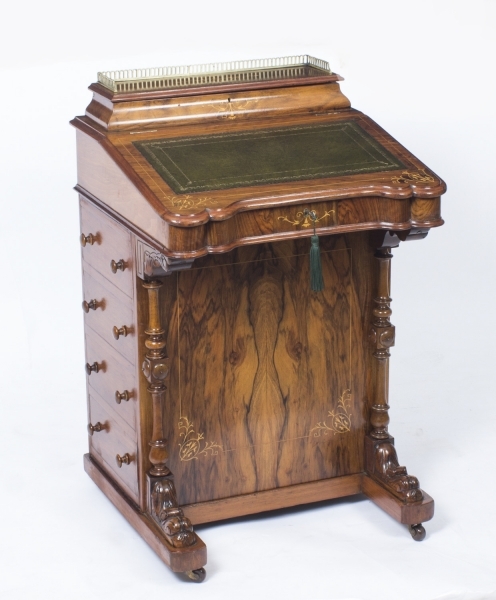 Our in-house experts are around to help answer queries, not merely about this antique burr walnut pop up desk but also about antiques and collectibles more generally. 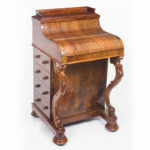 They’ve a great deal of experience and are always pleased to advise. You can find out our contact details by clicking on the ‘Find Out More’ button. 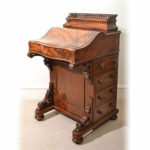 Please get in touch with us ahead of time to make an appointment so that we can be sure we have the right expert around to support you with your questions about this Victorian Davenport desk. We sporadically open on Saturdays, so if you need to come at a weekend, please get in touch ahead of time to guarantee we will be open. We do not want you making a wasted journey. 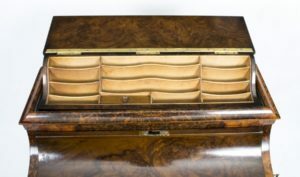 When contacting us please make sure you already have the item reference number at hand (08936) so we can be sure which precise object you want to talk about. Find our contact details by clicking on the ‘Find Out More’ button. 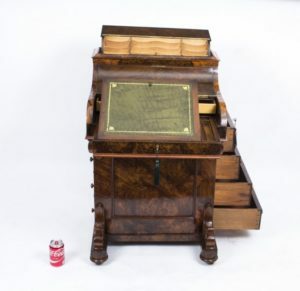 Our London display room is open Mon to Fri 10am – 5pm for you to see this Victorian Davenport desk. We also open sporadically on Saturdays – but remember to call beforehand before taking the visit on a Saturday as we don’t wish you to be let down. 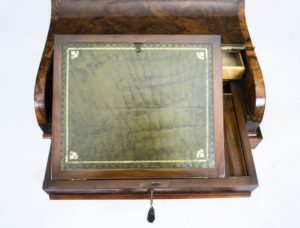 If you are not able to travel to see us, then we are always pleased to respond to any concerns you have about this Victorian Davenport desk by email or telephone. We have internal advisors who will be keen to guide you through any aspect of your proposed purchase, so why not take the opportunity to learn more. When you make contact please make sure you give the item reference number so we know which of our many objects you are talking about. You can get both our email address and our telephone number by clicking on the ‘Find Out More’ button. 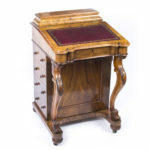 If you are not happy with this antique burr walnut pop up desk, we offer a 14 day money-back guarantee in compliance with the Distance Selling Regulations. 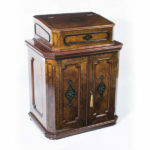 If you do wish to return it, you are required to pay the return shipping charges, unless we sent you an item materially different to what you were anticipating or have mis described it in some material way. 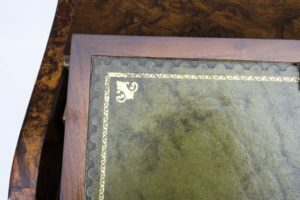 You must send the article back in its’ original condition and packaging. You’re also responsible for any customs duties, taxes or fees that fall due outside the European Union.